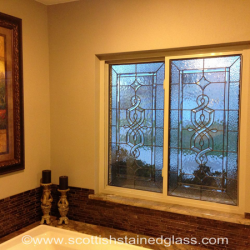 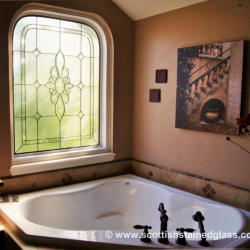 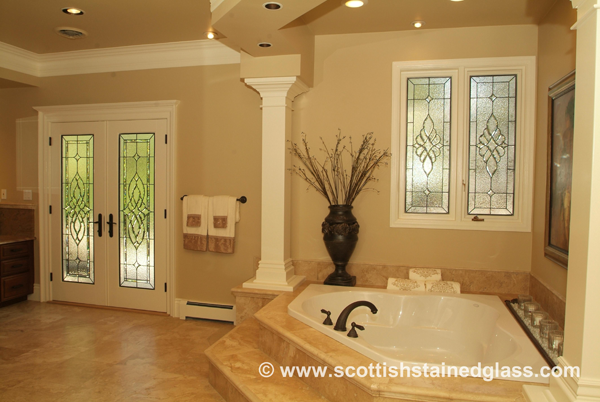 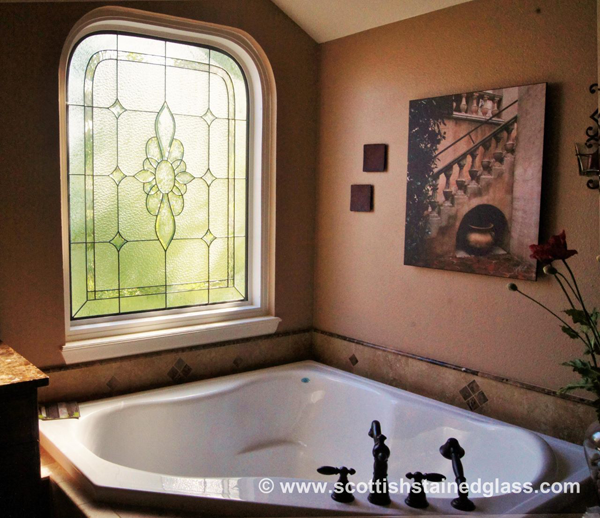 Bathroom stained glass is our most popular application at Kansas City Stained Glass, and we have installed thousands of bathroom pieces across the country. 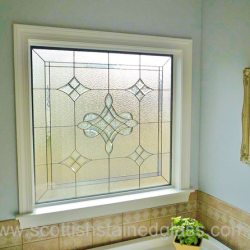 It’s very common to have windows in bathroom, especially in newer homes today, and they let in great natural light into an otherwise dark room. 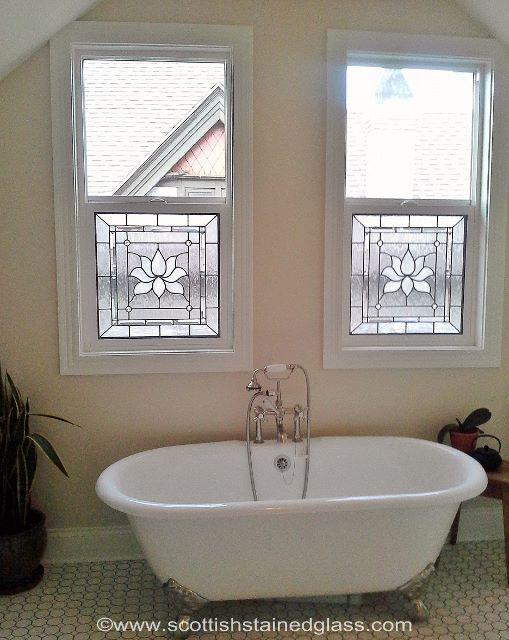 Still, privacy can become an issue if you have bathroom windows. 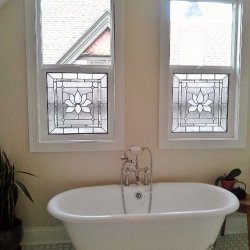 Blinds and curtains simply aren’t practical in this area. 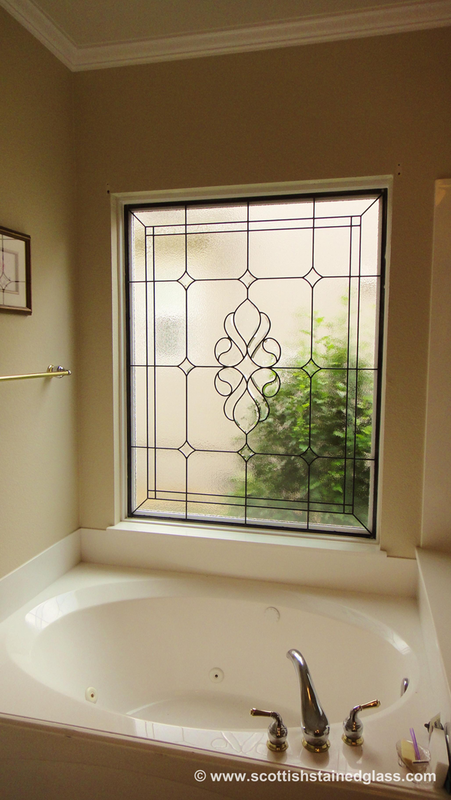 Our custom stained glass is the perfect solution to give you the best of both worlds! 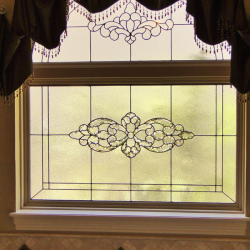 Privacy is a big issue for this area of your home, and while windows provide awesome natural light, many homeowners simply choose to block it out in lieu of privacy. 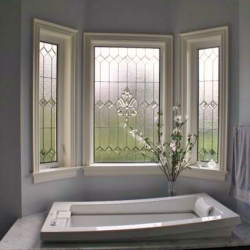 Blinds and curtains can be damaged by water, and often simply aren’t practical if your window is above a tub or somewhere that simply isn’t easy to access. 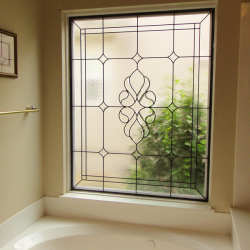 By installing custom leaded glass to your bathroom window, you’ll be able to block vision through your windows without blocking natural light. 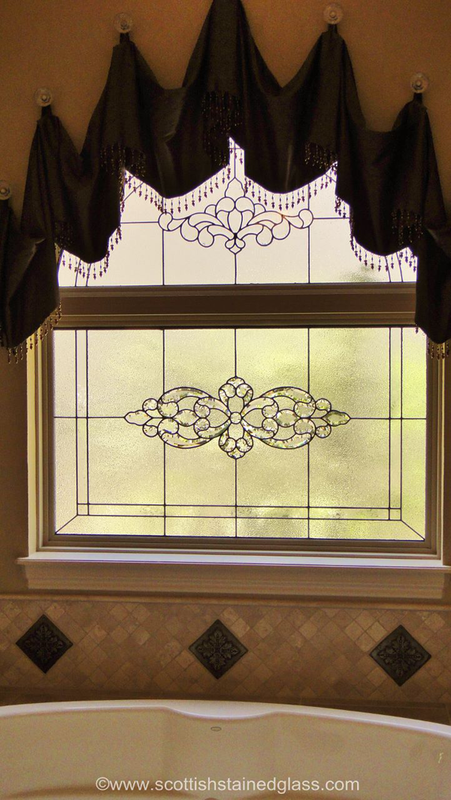 If privacy is your biggest concern in this area, we can use a wide array of textures and bevels to create multiple levels of privacy depending on your needs. 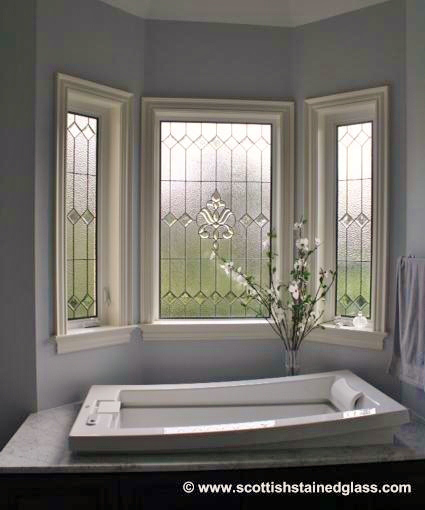 This way, you’ll be able to feel completely comfortable again, and you can enjoy a stunning design feature for your bathroom as well! 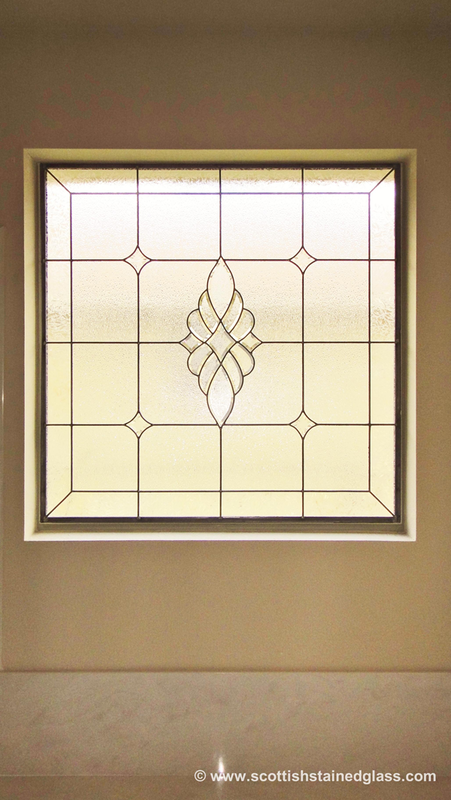 The functionality with our glasswork is ideal. 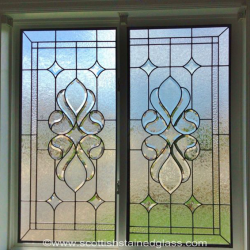 We can even still add leaded glass to a window that opens without losing the ability to do so. 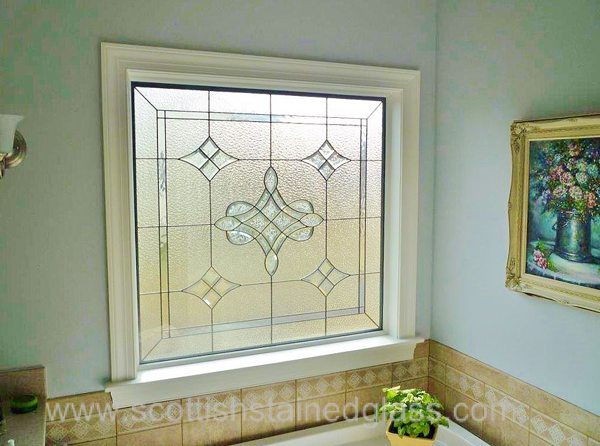 Often for bathrooms we actually seal the stained glass between two panes of regular glass to protect it from any moisture, and to make for easier cleaning. 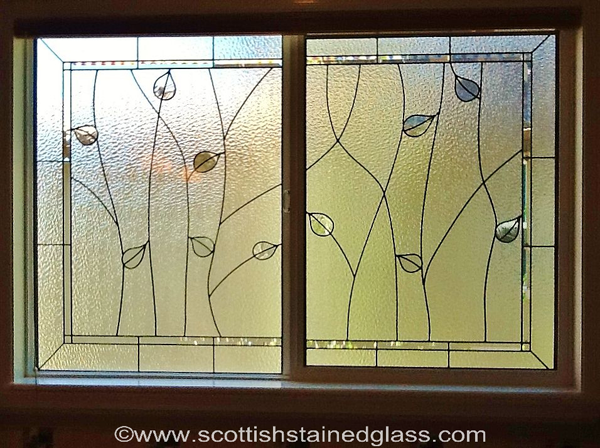 Our process begins with a consultation with one of our experienced designers. 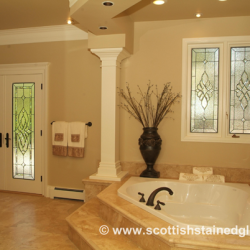 Your designer will take the time needed to show you the vast options that you have available, and to learn more about what styles and designs you prefer. 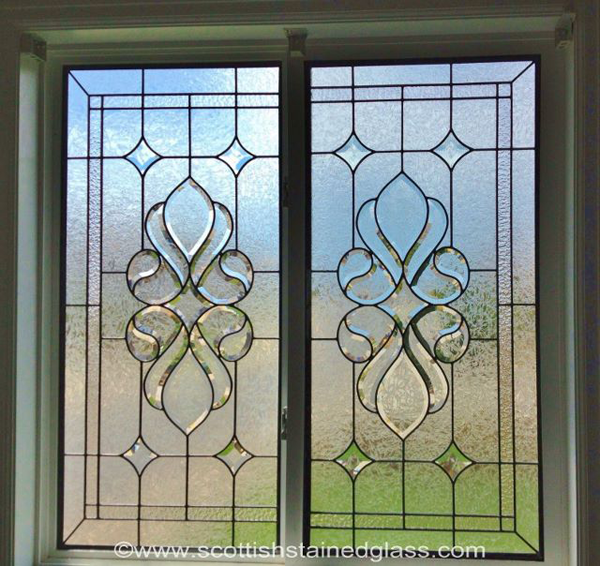 After all, stained glass isn’t meant to simply be functional- you want to choose something that you really love in terms of design as well. 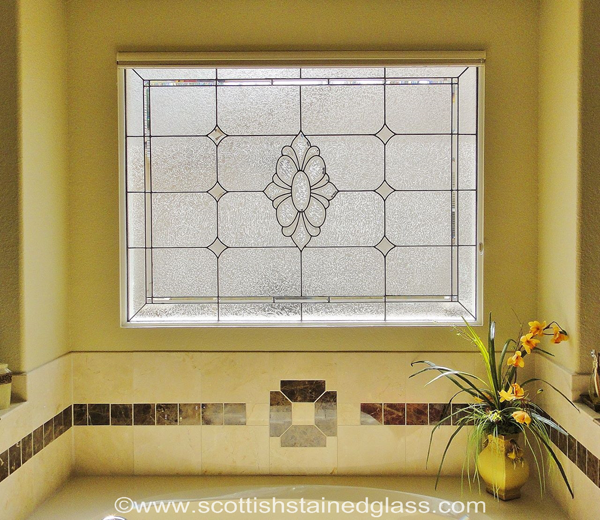 Whether you’re looking for something modern or traditional for your bathroom, we can help! 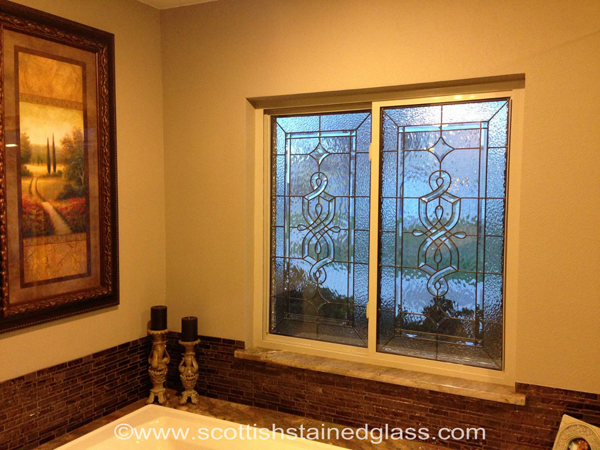 Kansas City Stained Glass is proud to be a part of the largest stained glass studio in the country. 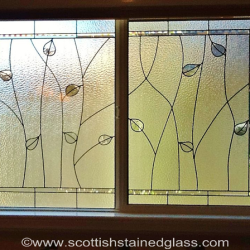 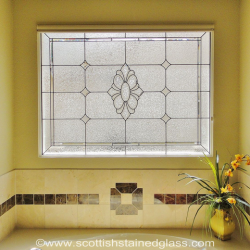 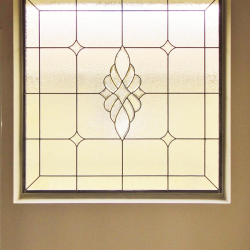 Contact us today with any questions about our products, our process, or if you’d like to schedule a consultation for your bathroom stained glass windows, and learn more about stained glass entryways, another amazing application here!